What’s that? Not enough action in Tic Toc Tom land? 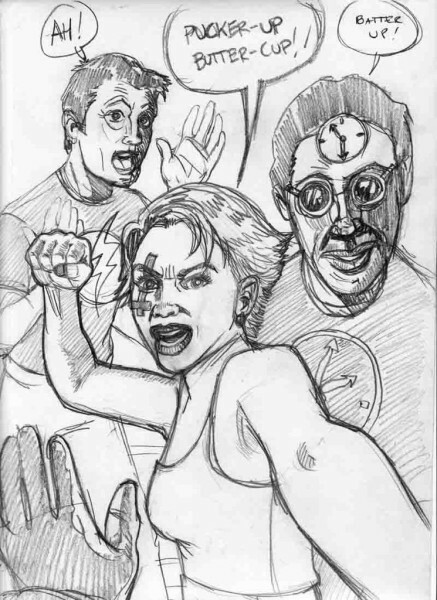 Here’s a dynamic cover sketch by Peter Macchione for ya! Previous Post:Tell me about your mother.